With the dissolution of the Soviet Union in December 1991, the Russian Federation became an independent country. Russia was the largest of the 15 republics that made up the Soviet Union, accounting for over 60 percent of the GDP and over half of the Soviet population. Russians also dominated the Soviet military and the Communist Party. Thus, Russia was widely accepted as the Soviet Union's successor state in diplomatic affairs and it assumed the USSR's permanent membership and veto in the UN Security Council; see Russia's membership in the United Nations. Despite this acceptance, post-Soviet Russia lacked the military and political power of the former USSR. Russia managed to make the other ex-Soviet republics voluntarily disarm themselves of nuclear weapons and concentrated them under the command of the still effective rocket and space forces, but for the most part the Russian army and fleet were in near disarray by 1992. Prior to the dissolution of the Soviet Union, Boris Yeltsin had been elected President of Russia in June 1991 in the first direct presidential election in Russian history. In October 1991, as Russia was on the verge of independence, Yeltsin announced that Russia would proceed with radical market-oriented reform along the lines of Poland's "big bang," also known as "shock therapy." 3 The "loans for shares" scheme and the rise of the "oligarchs"
Russia today shares many continuities of political culture and social structure with its tsarist and Soviet past, as the transition from communism to democracy and capitalism has been a difficult one. The conversion of the world's largest state-controlled economy into a market-oriented economy would have been extraordinarily difficult regardless of the policies chosen. (For details on state economic planning in the former Soviet Union, see Economy of the Soviet Union.) The policies chosen for this difficult transition were (1) liberalization, (2) stabilization, and (3) privatization. These policies were based on the neoliberal "Washington Consensus" of the IMF, World Bank, and U.S. Treasury Department. The programs of liberalization and stabilization were designed by Boris Yeltsin's deputy prime minister Yegor Gaidar, a 35-year-old liberal economist inclined toward radical reform, and widely known as an advocate of "shock therapy." Shock therapy began days after the dissolution of the Soviet Union, when on January 2, 1992, Russian President Boris Yeltsin ordered the liberalization of foreign trade, prices, and currency. This entailed removing Soviet-era price controls in order to lure goods back into understocked Russian stores, removing legal barriers to private trade and manufacture, and cutting subsidies to state farms and industries while allowing foreign imports into the Russian market in order to break the power of state-owned local monopolies. The partial results of liberalization (lifting price controls) included worsening already apparent hyperinflation (after the Central Bank, an organ under parliament, which was skeptical of Yeltsin's reforms, was short of revenue and printed money to finance its debt) and the near bankruptcy of much of Russian industry. The process of liberalization would create winners and losers, depending on how particular industries, classes, age groups, ethnic groups, regions, and other sectors of Russian society were positioned. Some would benefit by the opening of competition; others would suffer. Among the winners were the new class of entrepreneurs and black marketeers that had emerged under Mikhail Gorbachev's perestroika. But liberalizing prices meant that the elderly and others on fixed incomes would suffer a severe drop in living standards, and people would see a lifetime of savings wiped out. With inflation at double-digit rates per month as a result of printing, macroeconomic stabilization was enacted to curb this trend. Stabilization, also called structural adjustment, is a harsh austerity regime (tight monetary policy and fiscal policy) for the economy in which the government seeks to control inflation). Under the stabilization program, the government let most prices float, raised interest rates to record highs, raised heavy new taxes, sharply cut back on government subsidies to industry and construction, and made massive cuts in state welfare spending. These policies caused widespread hardship as many state enterprises found themselves without orders or financing. A deep credit crunch shut down many industries and brought about a protracted depression. The rationale of the program was to squeeze the built-in inflationary pressure out of the economy so that producers would begin making sensible decisions about production, pricing and investment instead of chronically overusing resources—a problem that resulted in shortages of consumer goods in the Soviet Union in the 1980s. By letting the market rather than central planners determine prices, product mixes, output levels, and the like, the reformers intended to create an incentive structure in the economy where efficiency and risk would be rewarded and waste and carelessness were punished. Removing the causes of chronic inflation, the reform architects argued, was a precondition for all other reforms: Hyperinflation would wreck both democracy and economic progress, they argued; they also argued that only by stabilizing the state budget could the government proceed to dismantle the Soviet planned economy and create a new capitalist Russia. A major reason that Russia's transition had been so wrenching is that the country is remaking both its Soviet-era political and economic institutions at once. In addition, Russia has been also remaking itself as a new national state following the disintegration of the union. The former Soviet Union was dealt a number of unique obstacles during the post-Soviet transition. These obstacles may have left Russia on a far worse footing than other former Communist-led states to Russia's west that were also going through dual economic and political transitions, such as Poland, Hungary, and the Czech Republic, which have fared better since the collapse of the Eastern bloc between 1989 and 1991. The first major problem facing Russia was the legacy of the Soviet Union's enormous commitment to the Cold War. In the late 1980s, the Soviet Union devoted a quarter of its gross economic output to the defense sector (at the time most Western analysts believed that this figure was 15 percent). At the time, the military-industrial complex employed at least one of every five adults in the Soviet Union. In some regions of Russia, at least half of the workforce was employed in defense plants. (The comparable U.S. figures were roughly one-sixteenth of gross national product and about one of every 16 in the workforce.) The end of the Cold War and the cutback in military spending hit such plants very hard, and it was often impossible for them to quickly retool equipment, retrain workers, and find new markets to adjust to the new post-Cold War and post-Soviet era. In the process of conversion an enormous body of experience, qualified specialists and know-how was lost, as the plants were sometimes switching from producing hi-tech military equipment to making kitchen utensils. A second obstacle, partly related to the sheer vastness and geographical diversity of the Russian landmass, was the sizable number of "mono-industrial" regional economies (regions dominated by a single industrial employer) that Russia inherited from the Soviet Union. The concentration of production in a relatively small number of big state enterprises meant that many local governments were entirely dependent on the economic health of a single employer; when the Soviet Union collapsed and the economic ties between Soviet republics and even regions were severed, the production in the whole country dropped by more than 50 percent. Roughly half of Russia's cities had only one large industrial enterprise, and three fourths had no more than four Consequently, the decrease in production caused tremendous unemployment and underemployment. Thirdly, post-Soviet Russia did not inherit a system of state social security and welfare from the USSR. Instead the companies, mainly large industrial firms, were traditionally responsible for a broad range of social welfare functions—building and maintaining housing for their workforces, and managing health, recreational, educational, and similar facilities. The towns in contrast possessed neither the apparatus nor the funds for the provision of basic social services. Industrial employers were left heavily dependent on their firms. Thus, economic transformation created severe problems in maintaining social welfare since local governments were unable to assume financial responsibility for these functions. Finally, there is a human capital dimension to the failure of post-Soviet reforms in Russia. The former Soviet population was not necessarily uneducated. Literacy was nearly universal, and the educational level of the Soviet population was among the highest in the world in science, engineering, and some technical disciplines. The Soviets also excelled in languages, but the social sciences were dominated by Marxism while they devoted little to what would be described as "liberal arts" in the West. The former Soviet Union's state enterprise managers were indeed highly skilled at coping with the demands on them under the Soviet system of planned production targets. But the incentive system built into state institutions and industries during the Soviet era encouraged skill in coping with state-run planned economy, but discouraged the risk-and-reward centered behavior of market capitalism. For example, the directors of Soviet state firms were rewarded for meeting output targets under difficult conditions, such as uncertainty about whether needed inputs would be delivered in time and in the right assortment. As noted, they were also responsible for a broad array of social welfare functions for their employees, their families, and the population of the towns and regions where they were located. Profitability and efficiency, however, were generally not the most prominent priorities for Soviet enterprise managers. Thus, almost no Soviet employees or managers had firsthand experience with decision-making in the conditions of a market economy. Russia's economy sank into deep depression by the mid-1990s, was hit further by the financial crash of 1998, and then began to recover in 1999–2000. The economic decline was about half as severe as the catastrophic drop borne out of the consequence of World War I, the fall of Tsarism, and the Russian Civil War. It is still hotly debated among Western economists, social scientists, and policymakers as to whether or not the IMF-, World Bank-, and U.S. Treasury Department-backed reform policies adopted in Russia, often called "shock therapy," were responsible for Russia's poor record of economic performance in the 1990s. A similar reform program had been adopted in Poland in January 1990, with generally favorable results. However, Western critics of Yeltsin's reform, most notably Marshall Goldman, Stephen Cohen, and Joseph Stiglitz (who would have favored a more "gradual" transition to market capitalism), consider policies adopted in Poland ill-suited for Russia, given that the impact of communism on the Polish economy and political culture was far less indelible. Following the economic reforms of the early 1990s, Russia suffered from a sharp increase in the rates of poverty and inequality. Estimates by the World Bank based on both macroeconomic data and surveys of household incomes and expenditures indicate that whereas 1.5 percent of the population was living in poverty (defined as income below the equivalent of $25 per month) in the late Soviet era, by mid-1993 between 39- and 49 percent of the population was living in poverty. Per capita incomes fell by another 15 percent by 1998, according to government figures. Public health indicators show a dramatic corresponding decline. In 1999, total population fell by about three-quarters of a million people. Meanwhile life expectancy dropped for men from 54 years in 1990 to 57 years by 1994, while women's dropped from 74 to about 71. Both health factors and sharp increase in deaths of mostly young people from unnatural causes (such as murders, suicides, and accidents caused by increased disregard for safety) have significantly contributed to this trend. As of 2004, life expectancy is higher than at the nadir of the crisis in 1994, yet it still remains below the 1990 level. Alcohol-related deaths skyrocketed 60 percent in the 1990s. Deaths from infectious and parasitic diseases shot up 100 percent, mainly because medicines were no longer affordable to the poor. There are now roughly one and half times as many deaths as births per year in Russia. While the supply shortages of consumer goods characteristic of the 1980s went away (see Consumer goods in the Soviet Union), this was not only related to the opening of Russia's market to imports in the early 1990s but also to the impoverishment of the Russian people in the 1990s. Russians on fixed incomes (the vast majority of the workforce) saw their purchasing power drastically reduced, so while the stores might have been well stocked in the Yeltsin era, workers could now afford to buy little, if anything. By 2004 the average income has risen to more than $100 per month, emblematic of the mild recovery in recent years thanks to a large extent to high oil prices. But the growing income is not being evenly distributed. The social inequality has risen sharply during the 1990s with the Gini coefficient, for example, reaching 40 percent. Russia's income disparities are now nearly as large as in Argentina and Brazil, which have long been among the world leaders in inequality, and the regional disparities in the level of poverty are still growing sharper. Structural reform lowered the standard of living for most groups of the population. Thus, reform created powerful political opposition. Democratization opened the political channels for venting these frustrations, thus translating into votes for anti-reform candidates, especially those of the Communist Party of the Russian Federation and its allies in the parliament. Russian voters, able to vote for opposition parties in the 1990s, often rejected economic reforms and yearned for the stability and personal security of the Soviet era. These were the groups that had enjoyed the benefits of Soviet-era state-controlled wages and prices, high state spending to subsidize priority sectors of the economy, protection from competition with foreign industries, and welfare entitlement programs. During the Yeltsin years in the 1990s, these groups were well organized, voicing their opposition to reform through strong trade unions, associations of directors of state-owned firms, and political parties in the popularly elected parliament whose primary constituencies were among those vulnerable to reform. A constant theme of Russian history in the 1990s was the conflict between economic reformers and those hostile to the new capitalism. On January 2, 1992, Yeltsin—acting as his own prime minister—enacted the most wrenching components of economic reform by decree, thereby circumventing the Supreme Soviet and Congress of People's Deputies, which had been elected in June 1991, before the dissolution of the USSR. While this spared Yeltsin from the prospects of parliamentary bargaining and wrangling, it has also destroyed the hopes for any meaningful discussion of the right course of action for the country. In retrospect, despite the great price paid by Russian people for these authoritative decisions, they did not help the country in the transition to market economy. However, radical reform still faced some critical political barriers. The Soviet-era Central Bank was still subordinate to the conservative Supreme Soviet as opposed to the presidency. During the height of hyperinflation in 1992–1993, the Central Bank actually tried to derail reforms by actively printing money during a period of inflation. After all, the Russian government was short of revenue and was forced to print money to finance its debt. As a result, inflation exploded into hyperinflation, and the Russian economy continued in a serious slump. The struggle for the center of power in post-Soviet Russia and for the nature of the economic reforms culminated in political crisis and bloodshed in the fall of 1993. Yeltsin, who represented a course of radical privatization, was opposed by the parliament. Confronted with opposition to the presidential power of decree and threatened with impeachment, Yeltsin "dissolved" the parliament on September 21, in contravention of the existing constitution, and ordered new elections and a referendum on a new constitution. The parliament then declared Yeltsin deposed and appointed Aleksandr Rutskoy acting president on September 22. Tensions built quickly, and matters came to a head after street riots on October 2–October 3. On October 4, Yeltsin ordered Special Forces and elite army units to storm the parliament building, the "White House" as it is called. With tanks thrown against the small-arms fire of the parliamentary defenders, the outcome was not in doubt. Rutskoy, Ruslan Khasbulatov, and the other parliamentary supporters surrendered and were immediately arrested and jailed. The official count was 187 dead, 437 wounded (with several men killed and wounded on the presidential side). In 1994, Yeltsin ordered 40,000 troops to prevent the separation of the southern region of Chechnya from Russia. Living 1000 miles south of Moscow, the predominantly Muslim Chechens for centuries had gloried in defying the Russians. Dzhokhar Dudayev, the Republic of Chechnya’s nationalist president, was driven to take his republic out of the Russian Federation, and had declared Chechnya's independence in 1991. Russia was quickly submerged in a quagmire like that of the U.S. in the Vietnam War. When the Russians attacked the Chechen capital of Grozny during the first weeks of January 1995, about 25,000 civilians died under week-long air raids and artillery fire in the sealed-off city. Massive use of artillery and air strikes remained the dominating strategy throughout the Russian campaign. Even so, Chechen insurgents seized thousands of Russian hostages, while inflicting humiliating losses on Russia's demoralized and ill-equipped troops. Russian troops had not secured the Chechen capital of Grozny by year's end. The Russians finally managed to gain control of Grozny in February 1995 after heavy fighting. In August 1996 Yeltsin agreed to a ceasefire with Chechen leaders, and a peace treaty was formally signed in May 1997. However, the conflict resumed in 1999, thus rendering the 1997 peace accord meaningless (see Second Chechen War). Chechen rebels continue to resist the Russian presence to this day. The "loans for shares" scheme and the rise of the "oligarchs"
The new capitalist opportunities presented by the opening of the Russian economy in the late 1980s and early 1990s affected many people's interests. As the Soviet system was being dismantled, well-placed bosses and technocrats in the Communist Party, the KGB, and the Komsomol (Soviet Youth League) were cashing in on their Soviet-era power and privileges. Some quietly liquidated the assets of their organization and secreted the proceeds in overseas accounts and investments. Others created banks and business in Russia, taking advantage of their insider positions to win exclusive government contracts and licenses and to acquire financial credits and supplies at artificially low, state-subsidized prices in order to transact business at high, market-value prices. Great fortunes were made almost overnight. At the same time, a few young people, without much social status, but with lots of entrepreneurial spirit, saw opportunity in the economic and legal confusion of the transition. Between 1987 and 1992, trading of natural resources and foreign currencies, as well as imports of highly demanded consumer goods and then domestic production of their rudimentary substitutes, rapidly enabled these pioneering entrepreneurs to accumulate considerable wealth. In turn, the emerging cash-based, highly opaque markets provided a breeding ground for a large number of racket gangs. By the mid-1990s, the best-connected former nomenklatura leaders accumulated considerable financial resources, while on the other hand the most successful entrepreneurs became acquainted with government officials and public politicians. The privatization of state enterprises was a unique opportunity, since it gave many of those who had gained wealth in the early 1990s a chance to convert it into shares of privatized enterprises. The Yeltsin government hoped to use privatization to spread ownership of shares in former state enterprises as widely as possible to create political support for his government and his reforms. The government used a system of free vouchers as a way to give mass privatization a jump-start. But it also allowed people to purchase shares of stock in privatized enterprises with cash. Even though initially each citizen received a voucher of equal face value, within months most of them converged in the hands of intermediaries who were ready to buy them for cash right away. As the government ended the voucher privatization phase and launched cash privatization, it devised a program that it thought would simultaneously speed up privatization and yield the government a much-needed infusion of cash for its operating needs. Under the scheme, which quickly became known in the West as "loans for shares," the Yeltsin regime auctioned off substantial packages of stock shares in some of its most desirable enterprises, such as energy, telecommunications, and metallurgical firms, as collateral for bank loans. In exchange for the loans, the state handed over assets worth many times as much. Under the terms of the deals, if the Yeltsin government did not repay the loans by September 1996, the lender acquired title to the stock and could then resell it or take an equity position in the enterprise. The first auctions were held in the fall of 1995. The auctions themselves were usually held in such a way so to limit the number of banks bidding for shares and thus to keep the auction prices extremely low. By summer 1996, major packages of shares in some of Russia's largest firms had been transferred to a small number of major banks, thus allowing a handful of powerful banks to acquire substantial ownership shares over major firms at shockingly low prices. These deals were effectively giveaways of valuable state assets to a few powerful, well-connected, and wealthy financial groups. The concentration of immense financial and industrial power, which loans for shares had assisted, extended to the mass media. One of the most prominent of the financial barons, Boris Berezovsky, who controlled major stakes in several banks and companies, exerted an extensive influence over state television programming for a while. Berezovsky and other ultra-wealthy, well-connected tycoons who controlled these great empires of finance, industry, energy, telecommunications, and media became known as the "Russian oligarchs." Along with Berezovsky, Mikhail Khodorkovsky, Roman Abramovich, Vladimir Potanin, Vladimir Bogdanov, Rem Viakhirev, Vagit Alekperov, Viktor Chernomyrdin, Victor Vekselberg, and Mikhail Fridman emerged as Russia's most powerful and prominent oligarchs. A tiny clique who used their connections built up during the last days of the Soviet years to appropriate Russia's vast resources during the rampant privatizations of the Yeltsin years, the oligarchs emerged as the most hated men in the nation. The Western world generally advocated a quick dismantling of the Soviet planned economy to make way for "free-market reforms," but later expressed disappointment over the newfound power and corruption of the "oligarchs." Early in the campaign it had been thought that Yeltsin, who was in uncertain health (after recuperating from a series of heart attacks) and whose behavior was sometimes erratic, had little chance for re-election. When campaigning opened at the beginning of 1996, Yeltsin's popularity was close in the single digits. Meanwhile, the opposition Communist Party of the Russian Federation had already gained ground in parliamentary voting on December 17, 1995, and its candidate, Gennady Zyuganov, had a strong grassroots organization, especially in the rural areas and small towns, and appealed effectively to memories of the old days of Soviet prestige on the international stage and the socialist domestic order. Panic struck the Yeltsin team when opinion polls suggested that the ailing president could not win; members of his entourage urged him to cancel presidential elections and effectively rule as dictator from then on. Instead, Yeltsin changed his campaign team, assigning a key role to his daughter, Tatyana Dyachenko, and appointing Anatoly Chubais campaign manager. Chubais, who was not just Yeltsin's campaign manager but also the architect of Russia's privatization program, set out to use his control of the privatization program as the key instrument of Yeltsin's reelection campaign. The president's inner circle assumed that it had only a short time in which to act on privatization; it therefore needed to take steps that would have a large and immediate impact, making the reversal of reform prohibitively costly for their opponents. Chubais' solution was to co-opt potentially powerful interests, including enterprise directors and regional officials, in order to ensure Yeltsin's re-election. The position of the enterprise directors to the program was essential to maintaining economic and social stability in the country. The managers represented one of the most powerful collective interests in the country; it was the enterprise managers who could ensure that labor did not erupt in a massive wave of strikes. The government, therefore, did not strenuously resist the tendency for voucher privatization to turn into "insider privatization," as it was termed, in which senior enterprise officials acquired the largest proportion of shares in privatized firms. Thus, Chubais allowed well-connected employees to acquire majority stakes in the enterprises. This proved to be the most widely used form of privatization in Russia. Three-quarters of privatized enterprises opted for this method, most often using vouchers. Real control thus wound up in the hands of the managers. Support from the oligarchs was also crucial to Yeltsin's reelection campaign. The "loans for shares" giveaway took place in the run-up to the 1996 presidential election— at a point when it had appeared that Zyuganov might defeat Yeltsin. Yeltsin and his entourage gave the oligarchs an opportunity to scoop up some of Russia's most desirable assets in return for their help in his re-election effort. The oligarchs, in turn, reciprocated the favor. In the spring of 1996, with Yeltsin's popularity at a low ebb, Chubais and Yeltsin recruited a team of six leading Russian financiers and media barons (all oligarchs) who bankrolled the Yeltsin campaign with $3 million and guaranteed coverage on television and in leading newspapers directly serving the president's campaign strategy. The media painted a picture of a fateful choice for Russia, between Yeltsin and a "return to totalitarianism." The oligarchs even played up the threat of civil war if a Communist were elected president. In the outlying regions of the country, the Yeltsin campaign relied on its ties to other allies—the patron-client ties of the local governors, most of whom had been appointed by the president. The Zyuganov campaign had a strong grass-roots organization, but it was simply no match to the financial resources and access to patronage that the Yeltsin campaign could marshal. Yeltsin campaigned energetically, dispelling concerns about his health, exploiting all the advantages of incumbency to maintain a high media profile. To assuage voters' discontent, he made the claim that he would abandon some unpopular economic reforms and boost welfare spending, end the war in Chechnya, pay wage and pension arrears, and abolish the military draft program (he did not live up to his promises after the election, except for ending the Chechen war, which was halted for three years). Grigory Yavlinsky was the liberal alternative to Yeltsin and Zyuganov. He appealed to a well-educated middle class that saw Yeltsin as a drunken scoundrel and Zyuganov as a Soviet-era throwback. Seeing Yavlinsky as a threat, Yeltsin's inner circle of supporters worked to bifurcate political discourse, thus excluding a middle ground—and convince voters that only Yeltsin could defeat the Communist "menace." The election became a two-man race, and Zyuganov, who lacked Yeltsin's resources and financial backing, watched haplessly as his strong initial lead was whittled away. Voter turnout in the first round of the polling on June 16 was 69.8 percent. According to returns announced on June 17, Yeltsin won 35 percent of the vote; Zyuganov won 32 percent; Aleksandr Lebed, a populist ex-general, a surprisingly high 14.5 percent; liberal candidate Grigory Yavlinsky 7.4 percent; far-right nationalist Vladimir Zhirinovsky 5.8 percent; and former Soviet president Mikhail Gorbachev 0.5 percent. With no candidate securing an absolute majority, Yeltsin and Zyuganov went into a second round of voting. In the meantime, Yeltsin co-opted a large segment of the electorate by appointing Lebed to the posts of national security adviser and secretary of the Security Council. In the end, Yeltsin's election tactics paid off. In the run-off on July 3, with a turnout of 68.9 percent, Yeltsin won 53.8 percent of the vote and Zyuganov 40.3 percent, with the rest (5.9 percent) voting "against all." Moscow and Saint Petersburg (formerly Leningrad) together provided over half of the incumbent president's support, but he also did well in large cities in the Urals and in the north and northeast. Yeltsin lost to Zyuganov in Russia's southern industrial heartland, the southern stretch of the country became known as the "red belt," underscoring the resilience of the Communist Party in elections since the breakup of the Soviet Union. Although Yeltsin promised that he would abandon his unpopular neoliberal austerity policies and increase public spending to help those suffering from the pain of capitalist reforms, within a month of his election, Yeltsin issued a decree canceling almost all of these promises. Right after the election, Yeltsin's physical health and mental stability were increasingly precarious. Many of Yeltsin's executive functions thus devolved upon a group of advisers (most of whom had close links with the oligarchs). The global recession of 1998, which started with the Asian financial crisis in July 1997, exacerbated Russia's economic crisis. Given the ensuing decline in world commodity prices, countries heavily dependent on the export of raw materials such as oil were among those most severely hit. (Oil, natural gas, metals, and timber account for more than 80 percent of Russian exports, leaving the country vulnerable to swings in world prices. Oil is also a major source of government tax revenue. The sharp decline in the price of oil had severe consequences for Russia. The pressures on the ruble, reflecting the weakness of the economy, resulted in a disastrous fall in the value of the currency. Massive tax evasion also continued, and the government found itself unable to service the massive loans it had received or even to pay its employees. The government stopped making timely payment of wages, pensions, and debts to suppliers; and when workers were paid, it was often with bartered goods rather than rubles. Coal miners were hard hit, and for several weeks in the summer they blocked sections of the Trans-Siberian railroad, effectively cutting the country in two. As time wore on, they added calls for the resignation of Yeltsin and his government to their wage demands. A political crisis came to a head in March when Yeltsin suddenly dismissed Prime Minister Viktor Chernomyrdin and his entire cabinet on March 23. Yeltsin named a virtually unknown technocrat, Energy Minister Sergei Kiriyenko, aged 35, as acting prime minister. Russian observers expressed doubts about Kiriyenko's youth and inexperience. The Duma rejected his nomination twice. Only after a month-long standoff, during which Yeltsin threatened to dissolve the legislature, did the Duma confirm Kiriyenko on a third vote on April 24. Kiriyenko appointed a new cabinet strongly committed to stemming the fall in value of Russia's currency. The oligarchs strongly supported Kiriyenko's efforts to maintain the exchange rate. A high exchange rate meant that they needed fewer rubles to buy imported goods, especially luxury items. In an effort to prop up the currency and stem the flight of capital, Kiriyenko hiked interest rates to 150% in order to attract buyers for government bonds. But concerns about the financial crisis in Asia and the slump in world oil prices were already prompting investors to withdraw from Russia. By mid-1998, it was clear Russia would need help from International Monetary Fund to maintain its exchange rate. The Russian crisis caused alarm in the West. Pouring more money into the Russian economy would not be a long-term solution, but the U.S. in particular feared that Yeltsin's government would not survive a looming financial crisis without IMF help. U.S. President Bill Clinton's treasury secretary, Robert Rubin, also feared that a Russian collapse could create a panic on world money markets (and it indeed did help bring down one major U.S. fund). The IMF approved a $22.6 billion emergency loan on July 13. Despite the bailout, Russia's monthly interest payments still well exceeded its monthly tax revenues. Realizing that this situation was unsustainable, investors continued to flee Russia despite the IMF bailout. Weeks later the financial crisis resumed as and the value of the ruble resumed its fall, and the government fell into a self perpetuating trap. To pay off the interest on the loans it had taken, it needed to raise still more cash, which it did through foreign borrowing. As lenders became increasingly certain that the government could not make good on its obligations, they demanded ever-higher interest rates, deepening the trap. Ultimately the bubble burst. On August 17, Kiriyenko's government and the central bank were forced to suspend payment on Russia's foreign debt for 90 days, restructure the nation's entire debt, and devalue the ruble. The ruble went into free fall as Russians sought frantically to buy dollars. Western creditors lost heavily, and a large part of Russia's fledgling banking sector was destroyed, since many banks had substantial dollar borrowings. Foreign investment rushed out of the country, and financial crisis triggered an unprecedented flight of capital from Russia. The financial collapse produced a political crisis, as Yeltsin, with his domestic support evaporating, had to contend with an emboldened opposition in the parliament. A week later, on August 23, Yeltsin fired Kiryenko and declared his intention of returning Chernomyrdin to office as the country slipped deeper into economic turmoil. Powerful business interests, fearing another round of reforms that might cause leading concerns to fail, welcomed Kiriyenko's fall, as did the Communists. Yeltsin, who began to lose his hold as his health deteriorated, wanted Chernomyrdin back, but the legislature refused to give its approval. After the Duma rejected Chernomyrdin's candidacy twice, Yeltsin, his power clearly on the wane, backed down. Instead, he nominated Foreign Minister Yevgeny Primakov, who on September 11 was overwhelmingly approved by the Duma. Primakov's appointment restored political stability because he was seen as a compromise candidate able to heal the rifts between Russia's quarreling interest groups. There was popular enthusiasm for Primakov as well. Primakov promised to make the payment of wage and pension arrears his government’s first priority, and invited members of the leading parliamentary factions into his Cabinet. Communists and trade unionists staged a nationwide strike on October 7, and called on President Yeltsin to resign. On October 9, Russia, which was also suffering from a bad harvest, appealed for international humanitarian aid, including food. Russia bounced back from the August 1998 financial crash with surprising speed. Much of the reason for the recovery is that world oil prices rapidly rose during 1999–2000 (just as falling energy prices on the world market helped to deepen Russia's financial troubles), so that Russia ran a large trade surplus in 1999 and 2000. Another reason is that domestic industries such as food processing benefited from the devaluation, which caused a steep increase in the prices of imported goods. Also, since Russia's economy was operating to such a large extent on barter and other non-monetary instruments of exchange, the financial collapse had far less of an impact on many producers than it would had the economy been dependent on a banking system. Finally, the economy has been helped by an infusion of cash; as enterprises were able to pay off arrears in back wages and taxes, it in turn allowed consumer demand for the goods and services of Russian industry to rise. For the first time in many years, unemployment in 2000 fell as enterprises added workers. Nevertheless, the political and social equilibrium of the country remains tenuous to this day, and power remains a highly personalized commodity. The economy remains vulnerable to downturn should, for instance, world oil prices fall at a dramatic pace–a seemingly remote possibility by late 2007. Yevgeny Primakov did not remain in his post long. Yeltsin grew suspicious that Primakov was gaining in strength and popularity and dismissed him in May 1999, after only eight months in office. Yeltsin then named Sergei Stepashin, who had formerly been head of the FSB (the successor agency to the KGB) and later been Interior Minister, to replace him. The Duma confirmed his appointment on the first ballot by a wide margin. Stephashin's tenure was even shorter than Primakov's. In August 1999, Yeltsin once again abruptly dismissed the government and named Vladimir Putin as his candidate to head the new government. Like Stephashin, Putin had a background in the secret police, having made his career in the foreign intelligence service and later as head of the FSB. Yeltsin went so far as to declare that he saw Putin as his successor as president. The Duma narrowly voted to confirm Putin. When appointed, Putin was a relatively unknown politician, but he quickly established himself both in public opinion and in Yeltsin's estimation as a trusted head of government, largely due to the Second Chechen War. Just days after Yeltsin named Putin as a candidate for prime minister, Chechen forces engaged the Russian army in Dagestan, a Russian autonomy near Chechnya. In the next month, several hundred people died in apartment building bombings in Moscow and other cities, bombings Russian authorities attributed to Chechen rebels. In response, the Russian army entered Chechnya in late September 1999, starting the Second Chechen War. The Russian public at the time, angry over the terrorist bombings, widely supported the war. The support translated into growing popularity for Putin, who had taken decisive action in Chechnya. After the success of political forces close to Putin in the December 1999 parliamentary elections, Yeltsin evidentially felt confident enough in Putin that he resigned from the presidency on December 31, six months before his term was due to expire. This made Putin acting president and gave Putin ample opportunity to position himself as frontrunner for the Russian presidential election held on March 26, 2000, which he won. The Chechen War figured prominently in the campaign. In February 2000, Russian troops entered Grozny, the Chechen capital, and a week before the election, Putin flew to Chechnya on a fighter jet, claiming victory. In August 2000, the Russian submarine K-141 Kursk suffered an explosion, causing the submarine to sink in the shallow area of the Barents Sea. Russia organized a vigorous but hectic attempt to save the crew, and the entire futile effort was surrounded by unexplained secrecy. This, as well as the slow initial reaction to the event and especially to the offers of foreign aid in saving the crew, brought much criticism on the government and personally on President Putin. On October 23, 2002, Chechen separatists took over a Moscow theater. Over 700 people inside were taken hostage in what has been called the Moscow theater hostage crisis. The separatists demanded the immediate withdrawal of Russian forces from Chechnya and threatened to blow up the building if authorities attempted to enter. Three days later, Russian commandos stormed the building after the hostages had been subdued with a sleeping gas, shooting the unconscious militants. The gas, which Russian officials refused to identify to doctors treating the hostages, was implicated as the cause of death for over 115 hostages. In the aftermath of the theater siege, Putin began renewed efforts to eliminate the Chechen insurrection. The government canceled scheduled troop withdrawals, surrounded Chechen refugee camps with soldiers, and increased the frequency of assaults on separatist positions. Chechen militants responded in kind, stepping up guerrilla operations and rocket attacks on federal helicopters. Several high-profile attacks have taken place. In May 2004, Chechen separatists assassinated Akhmad Kadyrov, the pro-Russia Chechen leader who became the president of Chechnya eight months earlier after an election conducted by Russian authorities. On August 24, 2004, two Russian aircraft were bombed. This was followed by the Beslan school hostage crisis in which Chechen separatists took 1300 hostages. The initially high public support for the war in Chechnya has declined. Only 19 percent of Russians supported continuing military action in September 2006, according to a Levada-Center poll. Putin has confronted several very influential oligarchs (Vladimir Gusinsky, Boris Berezovsky and Mikhail Khodorkovsky, in particular) who attained large stakes of state assets, allegedly through illegal schemes, during the privatization process. Gusinsky and Berezovsky have been forced to leave Russia and give up parts of their assets. Khodorkovsky is jailed in Russia and has lost his YUKOS company, formerly the largest oil producer in Russia. Putin's stand against oligarchs is generally popular with the Russian people, even though the jailing of Khodorkovsky is mainly seen as part of a takeover operation by government officials, according to another Levada-Center poll. These confrontations have also lead to Putin establishing control over Russian media outlets previously owned by the oligarchs. In 2001 and 2002, TV channels NTV (previously owned by Gusinsky), TV6 and TVS (owned by Berezovsky) were all taken over by media groups loyal to Putin. Similar takeovers have also occurred with print media. Putin's popularity, which stems from his reputation as a strong leader, stands in contrast to the unpopularity of his predecessor, but it hinges on a continuation of economic recovery. Putin came into office at an ideal time: after the devaluation of the ruble in 1998, which boosted demand for domestic goods, and while world oil prices were rising. Indeed, during the seven years of his presidency, real GDP grew on average 6.7 percent a year, average income increased 11 percent annually in real terms, and a consistently positive balance of the federal budget enabled the government to cut 70 percent of the external debt (according to the Institute for Complex Strategic Studies). Thus, many credit him with the recovery, but his ability to withstand a sudden economic downturn has been untested. Putin won the Russian presidential election in 2004 without any significant competition. Some researchers assert that most Russians today have come to regret the collapse of the Soviet Union in 1991. On repeated occasions, even Vladimir Putin—Boris Yeltsin's handpicked successor—stated that the fall of Soviet rule had led to few gains and many problems for most Russian citizens. In a campaign speech in February 2004, for example, Putin called the dismantlement of the Soviet Union a "national tragedy on an enormous scale," from which "only the elites and nationalists of the republics gained." He added, "I think that ordinary citizens of the former Soviet Union and the post-Soviet space gained nothing from this. On the contrary, people have faced a huge number of problems." Putin's international prestige suffered a major blow in the West during the disputed 2004 Ukrainian presidential election. Putin had twice visited Ukraine before the election to show his support for the pro-Russian Viktor Yanukovych against opposition leader Viktor Yushchenko, a pro-Western liberal economist. He congratulated Yanukovych, followed shortly afterwards by Belorussian president Alexander Lukashenko, on his victory before election results were even made official, and made statements opposing the rerun of the disputed second round of elections, won by Yanukovych, amid allegations of large-scale voting fraud. The second round was ultimately rerun; Yushchenko won the round and was eventually declared the winner on January 10, 2005. In the West, the reaction to Russia's handling of, or perhaps interference in, the Ukrainian election evoked echoes of the Cold War, but relations with the U.S. have remained stable. In 2005, the Russian government replaced the broad in-kind Soviet-era benefits, such as free transportation and subsidies for heating and other utilities for socially vulnerable groups by cash payments. The reform, known as monetization, has been unpopular and caused a wave of demonstrations in various Russian cities, with thousands of retirees protesting against the loss of their benefits. This was the first time such wave of protests took place during the Putin administration. 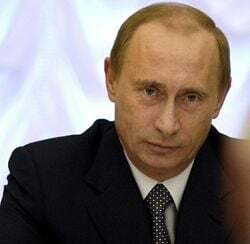 The reform has hurt the popularity of the Russian government, but Putin personally was still popular, with a 77 percent approval rating, according to the Levada Center poll of Sept. 2006. In the early period after Russia became independent, Russian foreign policy repudiated Marxism-Leninism as a putative guide to action, emphasizing cooperation with the West in solving regional and global problems, and soliciting economic and humanitarian aid from the West in support of internal economic reforms. However, although Russia's leaders now described the West as its natural ally, they grappled with defining new relations with the East European states, the new states formed upon the disintegration of Yugoslavia, and Western Europe. Russia opposed the expansion of NATO into the former Soviet bloc nations of the Czech Republic, Poland, and Hungary in 1997 and, particularly, the second NATO expansion into Baltic states in 2004. In 1999, Russia opposed the NATO bombing of Yugoslavia for more than two months (see Kosovo War), but later joined NATO peace-keeping forces in the Balkans in June 1999. Relations with the West have also been stained by Russia's relationship with Belarus. After an early experiment with democratization under former head of state Stanislav Shushkevich (1991-1994), Belarusian President Alexander Lukashenko, an authoritarian Soviet-style leader, has shown much interest in aligning his country with Russia, and no interest in deepening ties with the ever-expanding NATO or implementing Western-backed neoliberal economic reforms. A union agreement between Russia and Belarus was formed on April 2, 1996. The agreement was tightened, becoming the Union of Russia and Belarus on April 3, 1997. Further strengthening of the union occurred on December 25, 1998, and in 1999. Under Putin, Russia has sought to strengthen ties with the People's Republic of China by signing the Treaty of Good-Neighborliness and Friendly Cooperation as well building the Trans-Siberian oil pipeline geared toward Chinese growing energy needs. He also made a number of appearances in the media with President of the United States George W. Bush in which the two described each other as "friends"–at least before the Iraq War. Contemporary Russian culture is rooted in the legacies of the Soviet regime and the thousand-year heritage of the Russian state. The Soviet Union, itself the heir of a Tsarist state that had gained control of the major part of the Eurasian landmass over hundreds of years, seemed profoundly resistant to change just shortly before its collapse. Beneath the official propaganda, however, interest in both pre-Soviet traditions and the ways of the West grew during the so-called "period of stagnation." Russia inherited from the Soviet Union a diverse cultural heritage. Throughout the Soviet Union, intellectuals, artists, and teachers preserved over a hundred different cultural legacies and national languages. Even in the most repressive years of Stalinism, private life survived—lasting to this day—formed through strong family and friendship links. So too did a legacy of the Tsarist era through the great classic works of pre-revolutionary literature and art that generations of Soviet schoolchildren and university students were taught to respect and study. The imperative of providing the Soviet regime with a powerful scientific and technological capacity also required the regime to accept a certain level of openness and outside influences: scientific and cultural exchanges of people and ideas kept open channels through which the diverse influences of the outside world and especially the West filtered in the Soviet Union. As the Communist regime's machinery for shaping public values and reinforcing CPSU-rule (youth groups, the mass media, and Party-run workplace education) grew increasingly ossified and ineffectual after Stalin's death, these internal and external cultural influences assumed an ever-greater importance in shaping Soviet politics, culture, and public opinion. As the old regime's system for shaping public values and beliefs was breaking down in the late 1980s and 1990s, non-communist ideologies such as liberal democracy, religious faith, and ethnic nationalism saw a revival. At the moment of collapse in 1991, a significant proportion of the population, likely the absolute majority, looked hopefully to the future. However, as the Utopian vision of a prosperous and peaceful democracy gave place to the troubled and insecure reality, many became nostalgic for the days of the old Soviet superpower. A very public debate has been waged about the nation's history. Revisionism has extended not merely to reappraisals of attitude, but to the chronological timeline itself (for example, the theories of Anatoly Fomenko). Nicholas the Bloody has become St. Nicholas the Martyr in various circles; Vladimir Lenin would be buried by half the population; toponymy has achieved a balance between the Soviet and the Imperial past. Economic and political upheaval quickly made some of the formerly most respected or stable professions among the least desirable in material terms. Teachers worked for months without pay in some cases. Scientific workers lived on the poverty line or were thrown out of work when their research institutes were closed. The members of the artistic and cultural elites also had to learn to subsist with greatly diminished levels of support from the state. Some wilted, some emigrated, and some adapted. The Russian Orthodox Church has grown rapidly since 1991, as churches and monasteries have reopened and been restored, often by the work of their congregation. At the same time, Slavic neo-pagans have made their appearance. So too have foreign sects and other religions. Their proselytizing has been controversial, however, and has had to face roadblocks from the state and from the Orthodox Church. Still, though the holidays of Easter and Christmas have been reinstated (according to the Julian calendar), church attendance has grown substantially compared to Soviet era, and heretofore virtually nonexistent rituals such as church weddings have become common, most Russians have remained, if not confessed atheists, quite unobservant. The younger generation, especially, has embraced Western music and other types of pop culture. That and the growth of advertising has affected the Russian language, as many English words and constructions have become wildly fashionable. Drug abuse, which was kept tightly under wraps during the Soviet era, has come into the open with disastrous consequences. Today in Russia there are more than 3 million drug addicts. Heroin appears to be the drug of choice. Fueled by sharing needles by drug addicts, the AIDS epidemic is rampant–the number of HIV-positive people increased from less than 100 in 1989 to an estimated 1 million in 2003. While it took the publishing industry some time to switch from massive state orders to the consumer market, Russia remains a highly literate nation with considerable interest in literature. Crime fiction, romance novels, alternative history, and historical novels are popular and commercially successful. Conversely, poetry, which was extremely popular during the Soviet period as a form of protest, has declined. Spectator sports continued as a welcome diversion. Overwhelming successes at the Olympics and the great national ice hockey teams have become things of the past. Russian tennis players, on the other hand, have achieved highly profiled success. The attitude to the rest of the world has seen great perturbations. If in 1991 overall consensus toward the West was favorable indeed, it was quickly dimmed by the economic disruptions induced by the indiscriminate and corrupt privatizations. Many Russians perceived a continued distrust or even hostility from Europe and the United States. A sense of Russian political isolation was encouraged by overt political actions, especially NATO's 1999 bombing of Serbia over Kosovo. Thus a split became all too apparent. Many Russians, especially of the older generation, came to see the so-called "era of stagnation" under Leonid Brezhnev as a kind of stable golden age. A few, more visible than strong in numbers, placed their aspirations on Stalin. Letters in newspapers and the occasional leading article made it clear that by 2003, at a moment of relative stability, many felt like immigrants in their own country. Russians who prospered or survived under the changed conditions often mocked the nostalgia. In the end, however, neither age nor material conditions fully determined the outlook. The strongest continuation in Russian outlook from the later Soviet period is that most citizens do not in any sense identify their culture with their government, or (to a somewhat lesser extent) with political ideology. Among the most controversial breaks with the past is a post-imperial national awareness that places greater emphasis on ethnic belonging. Personal hostility from ethnic Russians to the so-called "national minorities" in widespread, assisted by demographics and based on perception of internal and international politics, appears to be considerably stronger than in the Soviet period. Overall, the official line today is a neutral acknowledgement of all phases of Russian history and culture. Underneath the circles of power, Russians are divided, as in ages past, between the "Westernizers" and the "Slavophiles" or "Eurasians," though it is too early either to speak of these tendencies as formal movements or to predict which one will prevail. At present, a kind of dynamic equilibrium appears to have been achieved after the chaos of the first post-Soviet years, but its permanence remains to be seen. ↑ Anders Åslund, "How small is the Soviet National Income?" in Henry S. Rowen and Charles Wolf, Jr., eds., The Impoverished Superpower: Perestroika and the Soviet Military Burden. (San Francisco: Institute for Contemporary Studies, 1990), 49. ↑ For example, see the discussion of this point in Anders Åslund, How Russia Became a Market Economy. (Washington, DC: Brookings Institution, 1995), 154. ↑ "State Department Background Notes on Russia in 1991-1995," excerpted from The Soviet Union—A Country Study, Raymond E. Zickel, ed. (Washington, DC: Federal Research Division of the Library of Congress, 1989). ↑ Sheila M. Puffer, (ed. ), The Russian Management Revolution: Preparing Managers for the Market Economy. (Armonk, NY: M.E. Sharpe, 1992). ↑ Kenneth Rogoff, Has Russia Been on the Right Path? A Commentary By Kenneth Rogoff Economic Counsellor and Director, Research Department, IMF. imf.org, August 26, 2002. Retrieved August 30, 2016. ↑ The poverty line in 1993 was set at the equivalent of $25 per month. The difference in estimates is due to the difference in methodology. The higher poverty rate is based on a calculation of household incomes. The lower rate is based on household consumption, since households tend not to report some portion on the monthly income. ↑ Branko Milanovic, Income, Inequality, and Poverty During the Transformation from Planned to Market Economy. (Washington, DC: The World Bank, 1998), 186–190. ↑ "Russia", CIA World Factbook. Retrieved August 30, 2016. ↑ The purported suicide of Nikolai Kruchina, who managed the Communist Party's financial affairs, following the collapse of the August 1991 coup attempt, deprived future researchers of the opportunity to discover where many of the party's assets disappeared. ↑ Gennady Zyuganov candidate profile, Communist or capitalist?. CNN, 1996. Retrieved August 30, 2016. ↑ Lee Hockstader, Victory in Hand, Yeltsin Retains Premier. Washington Post, July 5, 1996. Retrieved August 30, 2016. ↑ Russian Duma holds secret ballot in vote on premier. CNN, April 24, 1998. Retrieved August 30, 2016. ↑ Joseph Stiglitz, Globalization and Its Discontents (W. W. Norton & Company, 2003, ISBN 978-0393324396). ↑ Interview with Robert Rubin, The Russian Collapse. "Commanding Heights" PBS documentary, PBS.org. Retrieved August 30, 2016. ↑ Joseph Stiglitz, The ruin of Russia "Commentary" in The Guardian(UK), April 9, 2003. Retrieved August 30, 2016. ↑ Andrew E. Kramer, 50% Good News Is the Bad News in Russian Radio. The New York Times, April 22, 2007. Retrieved August 30, 2016. ↑ Nostalgia for USSR Growing in Russia. Radio Free Liberty/Radio Liberty. Retrieved August 30, 2016. ↑ Putin Laments Death of the Soviet Union. ABC News, February 12, 2004. Retrieved August 30, 2016. Åslund, Anders. How Russia Became a Market Economy. Washington, DC: Brookings Institution, 1995. ISBN 978-0815704263. Milanovic, Branko. Income, Inequality, and Poverty During the Transformation from Planned to Market Economy. Washington, DC: The World Bank, 1998. ISBN 978-0821339947. Puffer, Sheila M. (ed.). The Russian Management Revolution: Preparing Managers for the Market Economy. Armonk, NY: M.E. Sharpe, 1992. ISBN 978-1563240430. Rowen, Henry S., and Charles Wolf, Jr., (eds.). The Impoverished Superpower: Perestroika and the Soviet Military Burden. San Francisco: Institute for Contemporary Studies, 1990. ISBN 978-1558150669. Zickel, Raymond E. (ed.). "State Department Background Notes on Russia in 1991-1995," excerpted from The Soviet Union—A Country Study. Washington, DC: Federal Research Division of the Library of Congress, 1989. Up for Debate: Shock Therapy: Bolivia, Poland, Russia. Same Policies-Different Results From the PBS series "Commanding Heights"
Nick Paton Walsh, The Guardian, July 6, 2005, "Meet the chief exec of Kremlin inc"
Failed Expectations, Or What Is Behind the Marshall Plan for Post-Socialist Reconstruction. by Tanya Narozhna. kankanien. "The Uncertain Return of Russian Power", by Mike Haynes, analyses Putin's Russia and looks at claims that the reassertion of Russian power is leading to a new Cold War. International Socialism September 28, 2007. History of "History of post-Soviet Russia"
This page was last modified on 11 January 2018, at 16:26.